Mobile text messaging, also known as SMS (for short message service), may just represent the next frontier in mobile marketing. Why? More than 4 billion people worldwide — and 75 percent of Americans — regularly send and receive text messages. With the recent announcement that social media giant Facebook is acquiring WhatsApp — an SMS platform that allows users to send free text messages on smart phones of all kinds — texting’s popularity isn’t likely to decrease anytime soon. Here’s why you should take advantage of this growing market and add SMS to your marketing strategies. In Internet years, text messaging is a virtual grandfather; after all, the technology has been around for more than 20 years. In fact, it’s been around so long that a (mind-blowing) two-thirds of the Earth’s population has access to it. Perhaps due to the well-established nature of SMS, many companies have bypassed it as a marketing strategy, probably in their rush to drive customers to the mobile-optimized versions of their websites. Given these high response rates, using SMS seems like a no-brainer. Just send out a few well-worded messages to leads, and watch the sales grow — right? Of course, there’s a catch. In order to be successful, text message marketing requires thoughtful implementation. Consider how annoying you (probably) find telemarketing calls, spammy-sounding emails, and all of that other marketing stuff you’re constantly bombarded with but didn’t sign up for. Same goes for SMS; no one wants to receive random or irrelevant text messages all the time. Add in the fact that some mobile users have to pay for each text message they receive, and the importance of only sending texts to those who’ve opted in becomes crystal clear. It’s all about relevance. Speaking of relevance, one of the most effective uses of text message marketing is keeping in contact with your existing customers. They’ve already tried your product or service and decided they like you. SMS offers a cost-effective way to keep in touch. Whether you’re announcing a special event, sending a coupon code, or implementing a loyalty program, the judicious use of text messages keeps your company in your customers’ consciousness. SMS can also enhance your customers’ experience. Text messages containing reminders, schedules, notices of last-minute availability, and even customer satisfaction surveys provide value to your customers while saving them time and hassles. Here are a few ways to incorporate text messaging into your marketing plan in a way that customers will appreciate. Promotions and Sales: Send promo codes, coupons, and special event notices. Consider geo-fencing to send offers to opted-in customers when they come near your place of business. Receipts: Sending receipts makes it easy for customers to keep track of spending. Surveys: Customers can fill out surveys about their experience, providing you with valuable feedback. 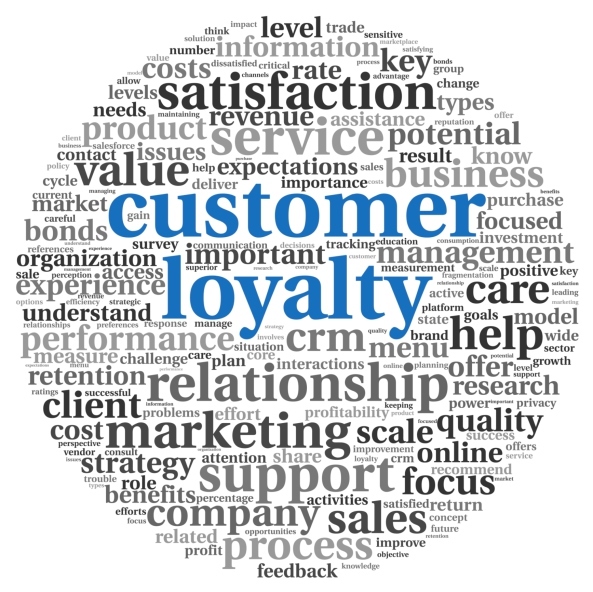 Loyalty Programs: Make it easy for customers to join your loyalty program via text, and get information you need to develop detailed customer profiles that help your marketing strategies. No matter what you’re using SMS for, the key lies in creating an opt-in program and focusing on content that provides value to customers. Text messaging shouldn’t be used to generate leads; instead, it should provide relevant information to interested customers. Mail personalized thank you cards showing your appreciation for recent purchases or interest in your products and services. Create a customer loyalty program that offers special promotions and incentives for return customers, such as birthday discounts, a reward punch card, free shipping, monthly discounts, or free upgrades. Give customers a great experience with your brand. Offer a quality product and stand behind it. 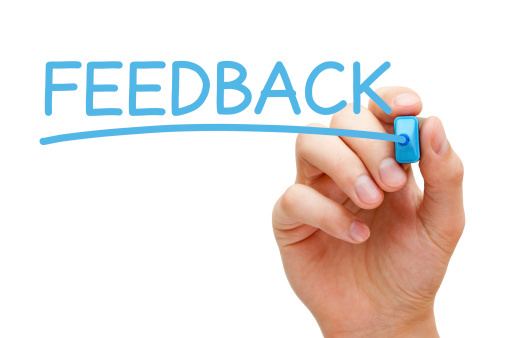 Encourage open communication with customers by requesting feedback and suggestions. Offer options such as e-mail, online surveys, a toll-free number, and discussion forums. Humanize your brand and create a personal connection with your customers by interacting in social media. Encourage customers to respond to your blog posts, attend trade shows, provide open houses, offer hands-on training sessions, and more. Treat your customers like insiders. Include them in decisions, ask for feedback, and assure them their opinions are valued. Consistently under-promise and over-deliver to ensure customer satisfaction. Surprise your customers with something they don’t expect, such as a coupon for “$10 off your next $10 purchase” just because. Remember the golden rule. Think about the type of treatment you would like to receive as a customer. If you sit down with nearly any preschooler, they can probably tell you the story of the three little pigs. According to the story, there once were three pigs. Each set out to build themselves a home. The first built his home out of straw. He was done very quickly because of the material he chose. The second little pig chose to build his home out of sticks. Building with sticks might have taken the pig a little longer than using straw, but he was still done rather quickly. The third pig, however, built his home out of bricks and mortar. This house took the longest time to build, and the pig was forced to keep working, even when the other pigs were already relaxing and enjoying themselves. Not long after the three pigs had finished their homes, the big bad wolf came looking for something to eat. He was able to quickly blow over the houses made of sticks and straw, but no matter how hard he tried, he was not able to blow over the house of bricks. The third little pig didn’t take the easy way out. He saw the other two pigs finishing faster than him and having the time to laugh and play, but when the chips were down, his house was the only one to stand up. The strong foundation made all the difference. In life, as in business, it’s tempting to take the easy way out; to use the easier material that takes significantly less time. The problem comes when we discover just how quickly a weak foundation can fail us. Those who are looking to grow their businesses must keep this idea in mind. There are a variety of ‘tricks’ companies can use to try to grow their businesses quickly. So-called ‘black hat SEO,’ which refers to techniques such as artificial keyword stuffing and using link farms to grow backlinks, may help companies achieve their objective rather quickly. They may rise quickly in the Google search engine ranks and see the number of visitors to their site rise as well. But Google has been cracking down on sites that use artificial SEO. Some companies have found their sites severely penalized, which has deeply hurt their businesses. In marketing, companies may be tempted to blast every known platform all at once, without taking the time to develop a company message and brand. In these cases, the effects of the campaign typically fall short. A group that tries to go nationwide with a campaign too quickly might find that the effort exhausts their resources, placing the entire company in jeopardy. Starting local and growing as a reputation spreads is the way to achieve success. Growing a business correctly means taking the time to grow organically. It means working to develop a quality website that is naturally optimized through a quality blog and well-written content. 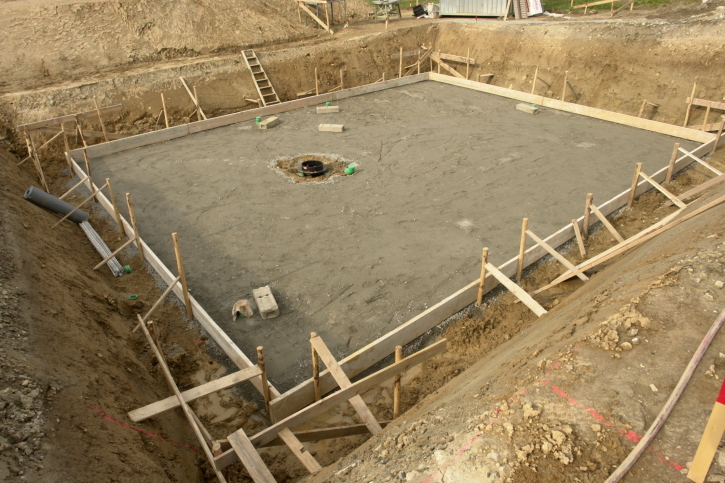 Marketing campaigns and customer reach goals should be built on a firm foundation that leaves room to grow. We can help customers develop marketing plans to appropriately meet new customers. There’s no easy way to be successful. It requires perseverance and hard work. Like the little pigs discovered, however, there’s also no replacement for doing things right the first time. Instead of looking for shortcuts, invest time in learning about techniques to maximize investments and tools for saving time. We can help. Building a solid business foundation means your company will have something to grow on, rather than a flimsy foundation that can blow over. And that’s irreplaceable. If you own a business, you probably know how important great online customer reviews can be to your bottom line. In fact, one 2013 study revealed that eight out of every 10 customers trust online reviews as much as they trust personal recommendations. Get social: If you don’t have a Facebook page and Twitter account, now is the time to get one. If you already do have Facebook and Twitter accounts, make sure you’re checking them regularly for comments. You need to keep a close eye on your social pages and respond to customer comments — good and bad — as they arise. And of course, you need to make it easy for people to find your social sites, so include links on your website and in your emails. Make it easy to be nice: Sure, you may like to go on and on about how great your product or service is, but your customers may not be that chatty. For the verbally shy, make reviews easy by adding non-verbal options like multiple choice options or a star-rating system. Get your game on: Ever heard of gamification? Basically, that term refers to websites that incorporate some sort of game play into their design to make it more fun for customers to engage. You can get as complex as you want, but even a simple thing like adding virtual badges or trophies for customers who leave reviews can increase feedback. Be generous: Everyone likes to score something for free, and offering a free sample or free trial period can be really effective at getting customers to leave reviews. Follow up: A customer just made a purchase. Is that the end of the transaction? Not if you want to generate some (generally positive) reviews. Once a purchase is complete, touch base with the customer to discuss both the item they purchased and the purchase experience in general. When you get positive responses, ask if you can share them as testimonials on your site. OK, so those are just a few ways to generate reviews and feedback, but what should you do if some of that feedback is negative? First, set aside your anger and indignation, and don’t stress: Every business is going to catch a little flak once in a while. Don’t ignore negative reviews; instead, reply politely to deescalate and help soothe the customer. Try not to get into a debate on your social page; instead, invite the customer to contact you by phone or email, or offer to contact them. Be sure to thank them for their feedback and apologize for any inconvenience they’ve felt. And of course, if the feedback is on target, use it to make needed improvements. Engaging customers and generating positive reviews takes work, but it’s work that can yield big returns. Take a few minutes today to think about how your business can improve feedback and start building its own base of dedicated fans.